I think it's been a year since my last post. It is not that I don't want to write anymore or left blogging, but there was so many things happened in my life at 2016. I felt lost and didn't know what to do. In a simple word, I was extremely unhappy at 2016. I feel good and happier :). 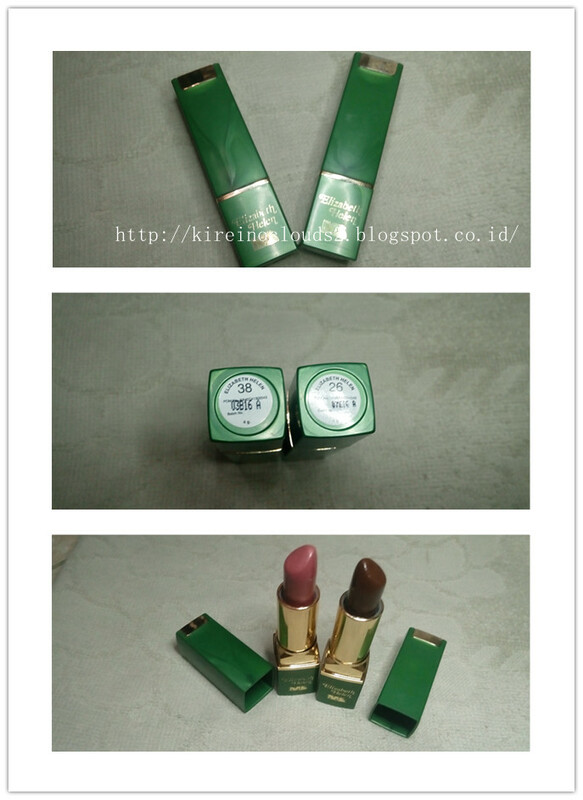 So, today I want to review a lipstick from brand Elizabeth Helen. Many of you (especially overseas reader) may have question, what is Elizabeth Helen? Where is this brand come from? and any other question that you have . Elizabeth Helen is produced by Saudi Perfume & Cosmetics Company (SPCCL) which is based in Jeddah, Saudi Arabia. It is the largest company of its kind in the whole of the Middle East. Established in 1982, with fully integrated production facility for perfume and cosmetics. Saudi Perfume & Cosmetics Company which is home for distinguished brand names such as "Elizabeth Helen, J.Casanova", "J.Casanova Blue", "Beethoven" and "Rembrandt" ascended the throne of fragrance and cosmetic manufacturers in the Middle East region, supported by the choice of "Plaisir" and "Pandora" as root fragrances in the edition of the world renowned German H & R perfume Genealogy, published in Germany. We are also supported by the different products of Mahmood Saeed Group sister companies that enhance our line of top tier products. We go the extra mile to guarantee you, not only the perfumes or cosmetics as fine products that make your fanciest dreams come true, but above that we bring you an integrated line of products ending with charming look and feel. Elizabeth Helen is a collection of premium quality cosmetics...with this collection of cosmetics every woman can now add an extra element of confidence to reflect her inner beauty for every moment. The Elizabeth Helen Collection will let you catch their eyes with your look just as you catch their hearts with your personality. This line of cosmetics is one of the first choices for the most beautiful women all over the world. To be honest, I just know if this brand is exist by last month when I order my first lipstick at berrybenka. Before that, I never heard this brand before. I only have 2 lipstick from elizabeth helen, it has glossy and shimmer finish. For the glossy finish I have no #26 and the shimmer one no #38. They have so many lipstick shades, if I'm not mistaken it is around 60 shades. And they doesn't use name for every shade, instead they using number. As you can see, both of this has a very pretty colour and pigmented. I usually use 2 or 3 swatch to cover my whole lips. Many glossy or shimmery lipstick has a little to no coverage in my lips, but this lipsticks are pigmented and does a good job. Both of it have a very smooth finish in my lips. Sometimes shimmery lipstick can be really patchy but this one is smooth. 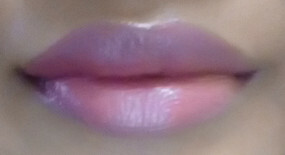 And the shimmer in it is very fine, so still can be used as everyday lipstick. No #38 is pinky and very girly lipstick shade. 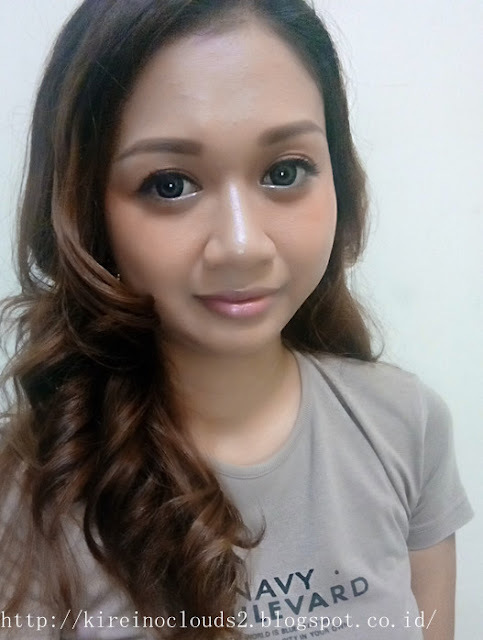 I always think I look more girly and feminine when I used this one :p.
But this one is also can be turn very pale when I used this alone without any other make up. So I usually used this one when I'm in full make up or else it will looks washed out. No #26 is dark chocolate colour. If you didn't like dark and bold lipstick, then this one is not for you. 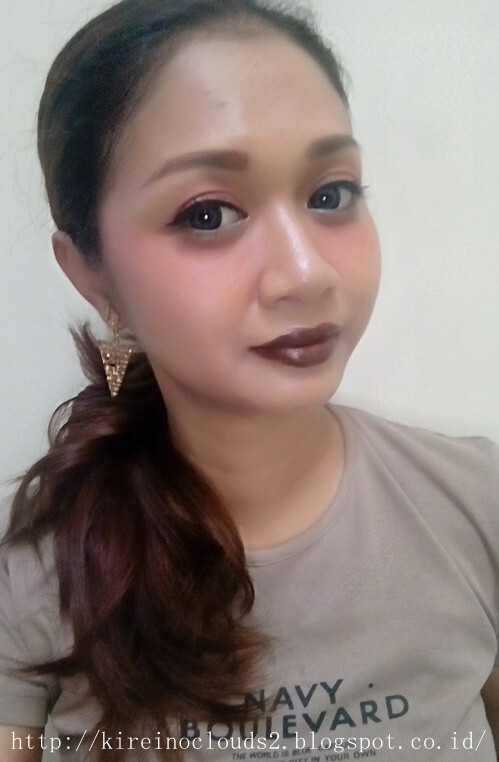 I love dark and bold colour, so this lipstick shade is really calling my name..hehe. The only negative things from this lipstick is that it have a very strong scent. It is not the vanilla or caramel scent that we usually smell on other lipstick,but more of flowery or perfume scent. You even can taste it after you applied it, even if it will fade after some times. 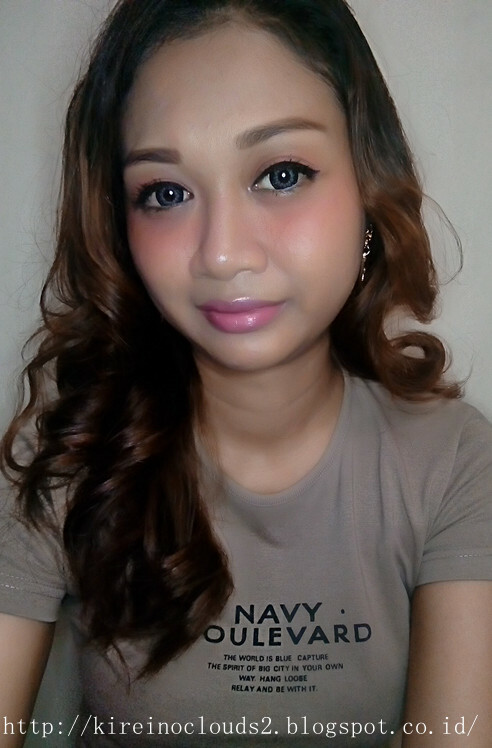 I was read some other blogger review and they wrote that this lipstick have a pleasant scent. So yeah, it will be back into personal choices. Personally, I prefer vanilla or cupcakes scent on my lipstick more than flowery scent. 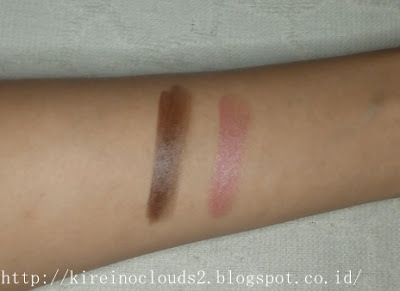 * Cheap, only cost me Rp 38k at Berrybenka and Rp 30K at watsons (Around USD 3). I will buy if it's on sale but will not purposely buy it since I didn't really like it scent. 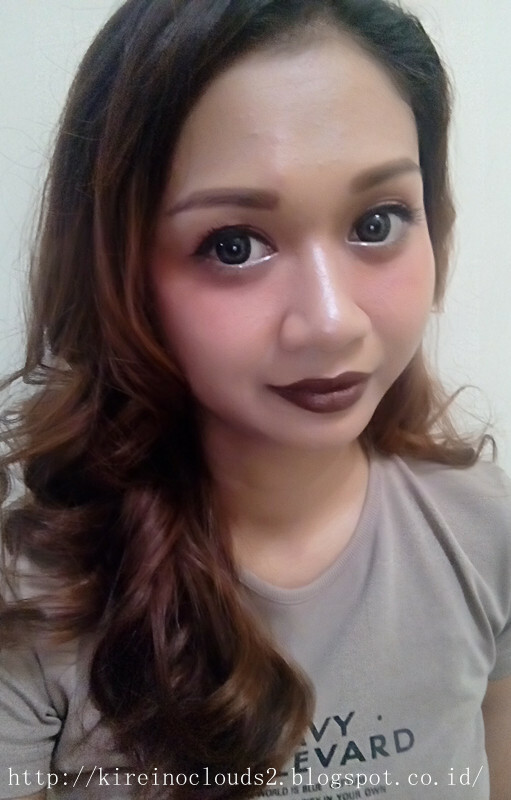 hello I had tw0 Lipstick No 22 and No 08 but i'm they are all finished and i cant find here in our local market, can anyone tell if i can but online and which page i can go through to buy.